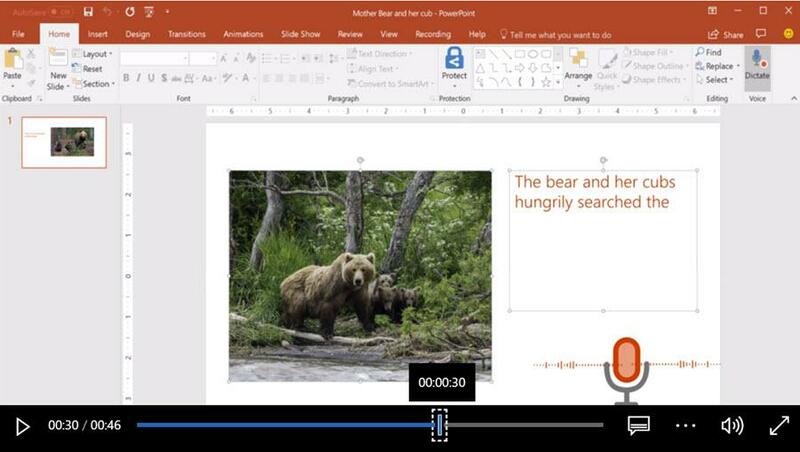 Microsoft offered a dictation add-on for Word, Outlook and PowerPoint a year ago as one of their Garage projects. 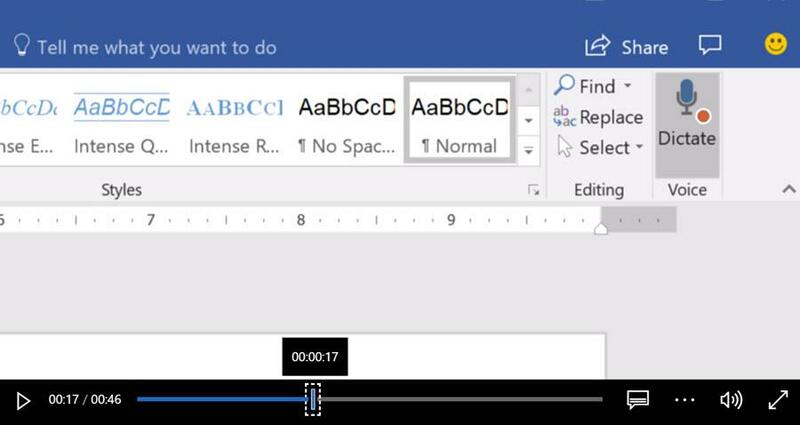 Now Word, Outlook, PowerPoint and OneNote have a dictation upgrade called Office Dictate. Not all versions of these programs support dictation and you have to subscribe to Office 365 to use the new feature. Office Dictate is available for Word for Office 365, Word 2016, Outlook 2016, PowerPoint 2016 and OneNote for Windows 10. It may seem odd that dictation is implemented in several Office 2016 apps, but you have to subscribe to Office 365 to unlock it. On the one hand, this may be a clumsy attempt to push people to subscribe to Office rather than buying it outright. On the other, Microsoft may be planning to support dictation without an Office 365 subscription in Office 2019 which is scheduled for later this year. Time will tell. A dictate button is located on the far right of the Home ribbon in OneNote, Word and Powerpoint. In Outlook, the button is on the right-hand side of the Message ribbon. Click the button and a dot next to the microphone icon will turn red when the app is ready to accept voice input. Punctuation can be inserted by saying the name of the punctuation mark. Mistakes are corrected by typing but the microphone doesn’t have to be turned off. The Dictate button appears on the right side of the Home ribbon. Office Dictate is part of Microsoft’s Intelligent Services which means, among other things, that the feature is cloud-based and necessitates an internet connection. In addition, Microsoft records what you say and the recordings “may also be used to improve speech recognition services.” Finally, the dictation feature is not HIPAA compliant. Office Dictate can be disabled on the Office intelligent services panel which can found by clicking File>Options>General. However, if you want to disable Office Dictate, you have to completely disable Office intelligent services. Microsoft does not allow you to choose which intelligent services you want active on your system. Voice-to-text software can be enormously helpful or a complete waste of time depending on the quality of the word-recognition algorithms. If Microsoft nailed it and you’re comfortable with the company recording everything the microphone picks up when it’s turned on, Dictate could be a valuable addition to your Office toolbox.